One month following the birth of my daughter, I found myself one evening experiencing acute abdominal pain. What started out as a mildly sharp ‘gas-like’ pain in my lower right abdominal quadrant had me bowled over, writhing in agony within one hour. It took all my strength to get up off my chiropractic table and drive home. Although the pain subsided a bit as the evening wore on, by 5 am the next morning I had to go to the emergency room. It was that bad. Despite my intense pain, the CT scan performed in the ER showed nothing significant, but anytime one goes to the ER with severe lower quadrant abdominal pain, they assumeappendicitis (in the absence of other symptoms). As a result, the radiologist informed me that I would be seeing a surgeon within the hour. Now I didn’t bother to ask her what she had meant, or why she would bother removing a healthy appendix. I mean, I know why…the risk of rupture is not worth the chance,because if uncertain as to what’s causing severe lower right quadrant pain, and you’re in the ER, then you’re losing an appendix, simple as that. And you know what? I’m cool with it—I’d rather preserve my life than play ‘what if’ or philosophize or whatnot. But what Iwas startled about was that if not my appendix—which the surgeon said was healthy—then what? And more important, what were the ramifications to losing a healthy organ? Now this is where I probably lose some of you, particularly the more medically inclined, because there is an old (and let me emphasize old) and erroneous believe that the appendix is a vestigial remnant. The belief is that the appendix, at one time having an important digestive role for our evolutionary ancestors, has since lost its function, and as such is unnecessary for the healthful operation and functionality of the human body. As a result, little concern has been raised over its “routine” removal. Now I want to reiterate—I would want my doctors to remove an organ if its current state (infection, rupture) puts my life in danger; I would even expect them to do so when enough of an uncertainty exists to warrant decreasing a risk to my life. However, I am not so certain that removing the appendix (especially a healthy one) has no long-term consequences to health. This article will be on what we now believe to be just those consequences, and what you can do to offset any negative health effects of having had your appendix removed. This article, however, is not just about countering the long-term effects of an appendectomy, but also those related to long-term antibiotic use, and especially to those related to faulty diet. We now know that the appendix has an immunological role as a “safe house” for our commensal bacteria—our normal gut flora. We have hundreds of trillions of microorganisms that reside on and within our bodies, which live with us symbiotically, protecting us from infections, aiding digestion, and even producing vitamins. The human body, then, is an eco-environment unto itself—a universe of sorts—housing more microorganisms than it even has cells. We know that the human digestive system has vast immunological function—it houses the largest mass oflymphoid tissue in the body. 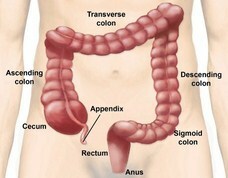 And the appendix is no exception. Recent findings have led some immunologists to theorize that the role of the appendix is to replenish the large intestine when the population of healthy gut bacteria gets purged—like from a bout of diarrhea, or repeated antibiotic use. When the gut bacteria numbers diminish, it leaves people susceptible to infection by opportunistic organisms, as well as digestive issues, and potentially allergies and autoimmune processes. Many theories abound on the importance (or non-importance in some circles) of the appendix in today’s modern society. I’ll leave that investigation to you if you are interested; just suffice it to say that evidence is surfacing that the replenishment of the normal gut flora is essential, as is the feeding and nourishment of those healthy bacteria. So do weneed an appendix? Probably not—but we do need to replenish depleted microbiota, and without an appendix we’ll need to do it consciously and deliberately. 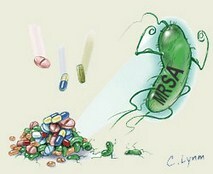 Antibiotics weaken bacteria, allowing the immune system (and other processes) to come in and destroy the bug. They are, however, non-discriminating in many instances, and as a result, they can wipe out large colonies of our normal gut bacteria. As I pointed out already, we need healthy colonies of “friendly” microbiota to prevent an overgrowth of opportunistic organisms that can lead to illness and disease. They also play a role in metabolism of short-chain fatty acids(SCFA) which are used by the cells of the colon to produce anti-inflammatory effects (and of which an absence may play a role ininflammatory bowel conditions), and may even play a role in tumor suppression, protecting the colon from the development of cancer. Friendly flora also produce necessary vitamins, like vitamin K and biotin (a B vitamin), for absorption into the blood. The healthy gut flora also has a hand in developing lymphatic tissue (immune function), as well as producing cross-reactive antibodies, which further protect against infectious agents or other unwelcome microorganisms. So how do we replenish a disrupted gut microbiota? The first step is to ingest either foods or supplements that contain some of the 700 species of bacteria that reside in our intestines. An obvious source isyogurt. Now I prefer natural, unsweetened kind. No jam-like fruit on the bottom or added sugar. Just pure, unadulterated yogurt—chock full of Lactobacillus and Bifidobacillus that inhabit our bodies. 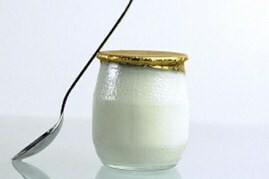 Kefir is another great source of healthy gut bacteria. You can get great yogurt or kefir products at your local health food store. Another option is to supplement with a probiotic formula. I carry a fantastic brand ofsupplemental probiotics in my office, and I take them myself regularly. Missing an appendix has warranted my regular supplementation with probiotic capsules (and yogurt/kefir consumption). You really should mind your antibiotic intake as well. No doubt these medicines are useful, but far too many people run to their doctors expecting antibiotics for every sniffle that drips down their noses. Not only is the overuse of antibiotics responsible for the current explosion of antibiotic resistant bacteria, which threatens us all, but they also kill the healthy flora inhabiting our bodies. 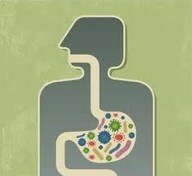 If you must take antibiotics (or you have a bout of diarrhea), make sure to replenish your gut bacteria immediately. Finally, don’t be hyper-hygienic. This is the state believing that everything needs to be disinfected. Part of our normal flora makeup comes from the microorganisms we pass onto each other. By sharing bacterial and viral organisms, we actually make ourselves stronger (and further evolving) in the long-run. No, I don’t mean that you shouldn’t concern yourself with STDs and other infectious organisms—what I mean is that we share microbiota with each other through cohabitating. And it’s okay—we want that. Whereas probiotics are the bacteria with which we replenish our digestive system,prebiotics are the nourishment of those colonies. Bacteria reside in our gut for one reason—it’s chock full of grub. 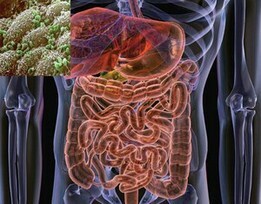 An almost endless supply of food for the gut bacteria makes our intestinal system a microorganistic utopia. First, diet matters. 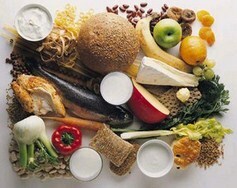 What you eat will influence, and even flat-out determine, the makeup of your intestinal microbiota. You probably won’t be too surprised to hear me say that the typical western diet rich in processed-foods is the worst possible way to eat to maintain healthy gut flora. Simple foods, of which the processed foods technically are, since the molecules are already partially digested, lead to simplification of gut bacterial makeup,leading to poor gut health. So the less you eat processed foods, the better. Eating more complex foods—whole fruits, vegetables, grains, dairy and meat—will allow a more complex gut bacterial makeup and provide a healthier environment for good bacteria. The bacteria are there to help digest the indigestible of the whole foods (read: complex), forming vitamins and adding to other essential process as outlined above. Second, it gives strength to the argument for supplementing with prebiotics. Prebiotics are non-digestible food ingredients that stimulate the growth and/or activity of bacteria in the digestive system. They are generally carbohydrates (oligosaccharides), most often soluble fiber, but can include some non-carbohydrate molecules. Two well-known prebiotics arefructooligosaccharides—oligofructose and inulin. Food sources include garlic, onions, leeks, asparagus, soybeans, oats and bananas, but you can also find them in prebiotic supplements. Breast milk is an excellent source, believed to play an important role in the development of a healthy immune system in infants. Gut dysbiosis (inadequate gut bacteria) is the cause of many of today’s health disorders. By limiting our antibiotic intake to only the most necessary instances, and then by replenishing immediately following that necessity (or after a bout of diarrhea), we can prevent, or at least lessen, the depletion of our healthy gut bacteria. Replenishing our normal and healthy flora is best done through foods like fresh, whole, natural foods—lots of fresh fruits and vegetables, nuts, legumes, meats and dairy (including yogurt and kefir)—as well as the fructooligosaccharides also known as prebiotics. Also supplementing with good probiotic and prebiotic formulas can help. Finally, if you lose an appendix (even a healthy one), you’ll have to be even more diligent in replenishing your healthy gut bacteria, as your natural storehouse is gone. So really mind your diet, and be focused in your supplementing practices, and you should be able to maintain optimal gut health. This is the brand that we carry in our office. If you’d like to purchase the Jarro-Dophilus EPS® 60 capsules for $20.00 or 120 capsules for $36.00, or the Inulin FOS for $11.00 click the link below.